The internet’s saturated with content and if you’re a “web writer” it can be hard to set yourself apart from the competition. Fortunately for you, people don’t care quite as much about the actual facts as they do the delivery. People enjoy great writing. They want to be involved and understood. And by empathizing with your readers, you’ll inevitably develop a following. People will visit your site longer and rankings will go up because your content is being shared. You don’t have to be a literary genius. You just need to connect with your audience and deliver the information they want – without problems, obstacles, or extensive thinking. You don’t have to write like William Shakespeare to produce engaging content. Actually, it helps not to be too eloquent or wordy. In other words, lose the words. Don’t write lengthy sentences. You’ll lose people. Stick to a 5th grader’s reading level and vocabulary. A great way to make sure you’re writing at a proper level is by simply running your articles through spell check on Microsoft word. Aside from identifying any spelling errors, spell check will show your readability statistics. This is a great tool to help gauge your content and make sure it’ll be fully absorbed. Commit to integrating power words into your writing – you’ll INSTANTLY produce more engaging content. Ever notice how some writers have a unique ability to mess with your emotions? You feel like you’re dangling on the end of the string, being toyed with, and can’t help but go along with it. Great writers use specific words to tap into your emotions at will. If you learn the words they use, you’ll be a better writer. Facts are facts, but learning to engage your reader emotionally is another thing. Good content writers get the facts right and that’s the end of it. Great content writers engage readers emotionally while emphasizing the facts with trigger words. Certain words set off emotional alarms. People don’t read online, they scan. Nothing makes a user want to click back quicker than a huge wall of text. If a user doesn’t think he can instantly scan to find his answer, he’ll click back and find a shorter page or another attention grabbing headline. Sub-headings show that, as an author, you have a structured and purposeful outline. That you’ve put thought into how its arranged and how you’ve laid it out. David Aston expected to invest a couple hundred dollars and 30 days researching health. But intense curiosity and discoveries of new and controversial truths nearly bankrupted him. A great professor once said that people don’t remember facts, they remember stories. Because you’re a content writer, it can be a little challenging to set your writing apart. The way you set yourself apart, and make your blog, journal, or site updates more memorable is to use a storytelling approach. Incorporate your facts, statistics, and points into relatable stories that your reader will remember. Simply recount your own experiences, invent fictitious stories and/or pull from across the web and paraphrase others’ experiences. When telling your stories or utilizing power words, be sure to maintain the 2nd person writing style, and incorporate words like “you” and “your.” This will significantly impact your audience. It engages them directly and pulls them into the narrative, making it more likely they’ll take action. Never allow your readers to obtain your content from a detached perspective. Do not doubt yourself as an author. Be firm and resolute in your writing. Never say “IMO” or “in my opinion.” Your reader already knows it’s your opinion. Speaking that way screams uncertainty, and casts doubt on the content you’re presenting. Read a lot of blogs and websites in your industry on a regular basis to keep your finger on the pulse of what’s going on. This keeps you informed and on top of trends. You’ll be able to write from a solid frame of reference and won’t appear detached. You need mental energy to write creatively in a compelling, concise and clear way. Taking walks before and during my writing helps focus my thoughts and produce engaging content on a regular basis. Master copywriter Eugene Schwartz had a technique that I’ve grown quite fond of, and it’s writing in 33.33 minute intervals. Basically I set my timer and work diligently and focused without blank stares or procrastination… When the buzzer sounds, I’ll take a 10 minute break and set the timer for another 33.33 minutes of productivity. This has been my ‘SECRET WEAPON’ of writing. One of the greatest communicators of all time, Howard Stern, said that his success took off when he shot from the hip, and went straight for it. Don’t worry about what people think. Just write what you believe in. The headline can be the best part of reading an article. Think of your headline as the gift, not the wrapping on the gift. Put effort into making a headline that makes your reader want to share your content. Just be sure not to neglect keywords. The keywords will help your post live on in the search engines long after it’s published. Remember, don’t just write for search engines, write for people. It’s important to write from the heart, keeping your content concise and to the point. Creating engaging content is the best way to generate tons of backlinks to your site from other bloggers and website owners. 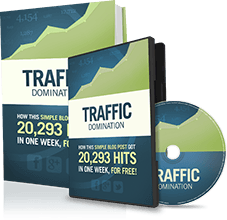 This increases traffic and enhances your visibility in the search engines. Good point and a reminder I needed. Sometimes it’s easy to forget that. You’re right, sometimes all we need is a friendly reminder 🙂 Thanks for the feedback. I just read the whole post and normally I “don’t read online, (i) scan. Nothing makes a user want to click back quicker than a huge wall of text. Awesome post with actionable tips! You picked a good one to read 😉 Glad you enjoyed it. Good post man thanks for sharing David will link to this from my new digital magazine coming soon. Much love, glad you dig it. I’ll keep my eye out for your new magazine. Nope, no need at all to be a literary genius. Keep it real, concise and come from the heart – your audience will appreciate it. Much appreciated Alvin, hope it helps you out. Loved the “Take a break” tip. It is all about being in the flow which doesn’t happen regularly.